What a load of old tosh this is. Scoring a goal should be a delightful, wonderful thing for any player. It should be joyful! It should give you pleasure! An unadulterated feeling of delight and celebration. A great contribution to your club, your employer and your fans. So what is going on with all these modern footballers refusing to celebrate their goals? So a player leaves their current club for whatever reason (most commonly because they can earn more money elsewhere) and at some point in the future they then score against their previous club. - So why are they not celebrating? To me, the player is basically saying that the club that they currently play for, is less worthy or important than the one they played for previously. But I think if we dig a little deeper, I reckon it's actually down to cowardice. Cowardice on the part of the player. Firstly, if we go back 25 years, I can't imagine any player doing this. Secondly, I'd be surprised if this happens anywhere near as regularly in the lower tiers of football. So what's the difference? Why is this occurring at the highest level? The answer has got to be money. It's the driving force and motivation for nearly all footballers. Why do so many players move to Chelsea and then hardly ever play? - Money! It's like these players are making an excuse - because most players do not care about one club anymore. They no longer grow up in an area and play for their local team; they move around, they follow the gravy train, chase the biggest money they can. The club is secondary in many respects. This is the only reason I can think of. A player like Joe Cole (above) is a classic example. He moved to Liverpool where he was on an astronomical wage, but hardly ever played. He then scores against West Ham and makes a show not to celebrate. It's surely because he feels guilty. If you were an honest player, not motivated by money, not a prima donna, not moving from club to club because you fancy a house in France or got offered more at club X, I don't think you would see this. It's ironic because some people might say that the player not celebrating is 'being respectful'. I beg to differ. To me it's a form of dishonesty. It seems to back up my theory that a good deal of modern sport is 'preemptive' and less spontaneous. It's planned. It's thought out. It's cynical. You didn't have rubbish like this in years gone by. If a player scored, he was DELIGHTED! He jumped for joy! - And I think fans will always prefer players like that. 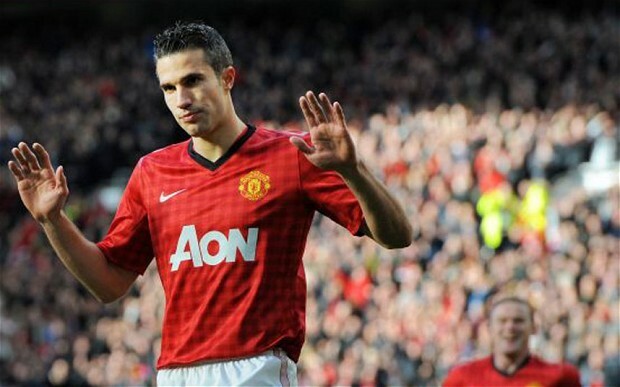 Van Persie Does Not Celebrate Scoring Against Arsenal - Guilty Feelings?? You sign for a football club. You wages are paid by the football club. You play every week for that football club. You score a goal. You are delighted! You celebrate with your teammates and your fans. It's not complicated. It's not questionable and it's not inappropriate.